Bulldog Mania: Bulldogs of many shapes and sizes . 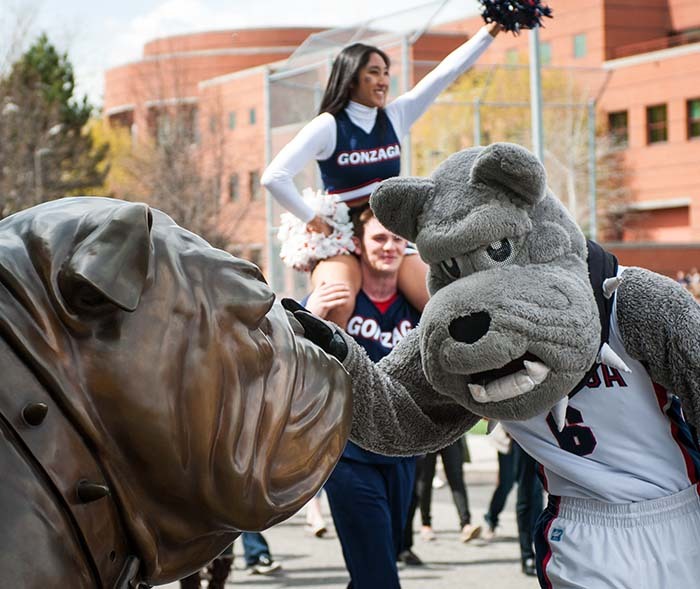 . .
Gonzaga has had a wide array of mascots, though not all were bulldogs. The canine figure is an essential part of campus life and has been since the early 1920s when we were first named “Bulldogs”. 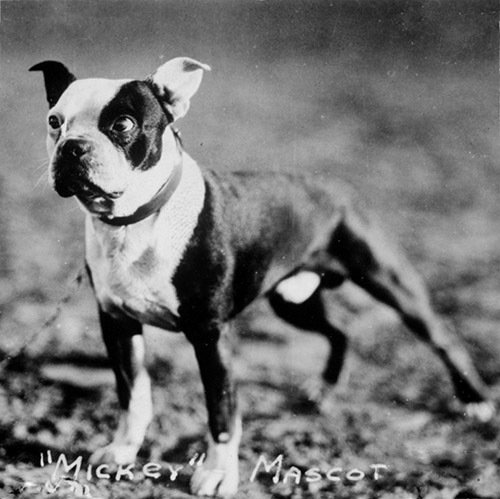 In 1947 the bulldog had to share campus with a collie named George who became the adopted mascot of the school for a short time. We kept a live dog as our mascot until the 1980s when “Captain Zag” – a fellow student – took lead on becoming a new and energetic mascot. It wasn’t long after that Lee Mauney became Gonzaga’s first “Spike” to strut on court. The dog, “Q”, still walked along campus paths, but “Spike” entertained and pumped up those in the Kennel. As the live mascots have changed over time, so too have the bulldog logos. The first seemed to be either tough or cartoonish, but they have gradually been redefined as fierce and full of muscle, baring teeth to show the original tenacious spirit.